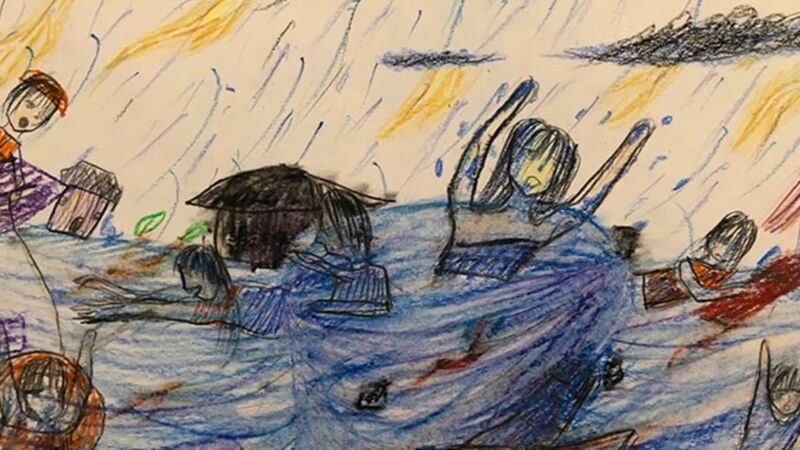 Probashbangla24 online Desk : One little girl draws a nightmarish picture of people calling for rescue as they drown in rising water. They live in the Mekong Delta, a huge plain of rivers and rice-fields that’s popular with tourists but lies only just above the surface of the ocean. 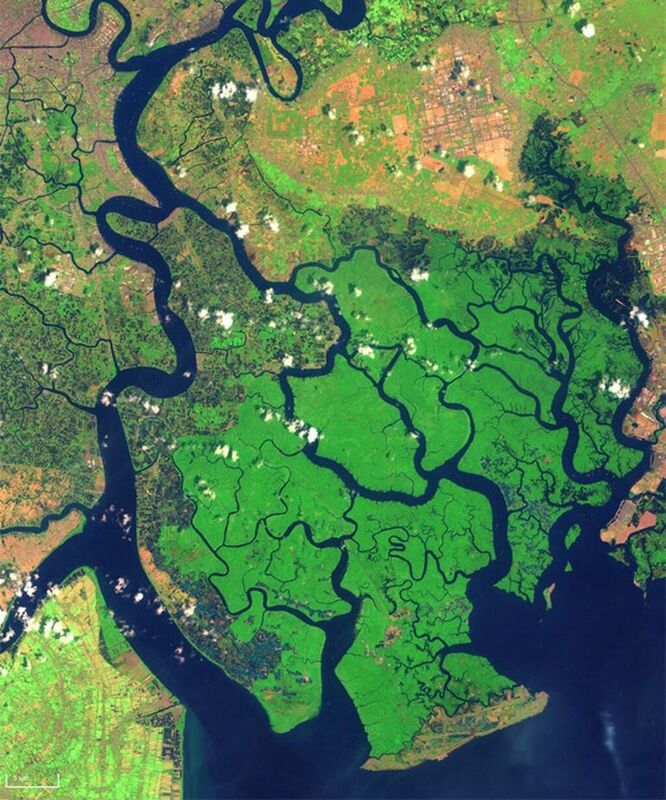 That’s why the delta, one of the world’s greatest centres for rice production and home to 18 million people, is recognised as especially vulnerable to the effects of climate change. 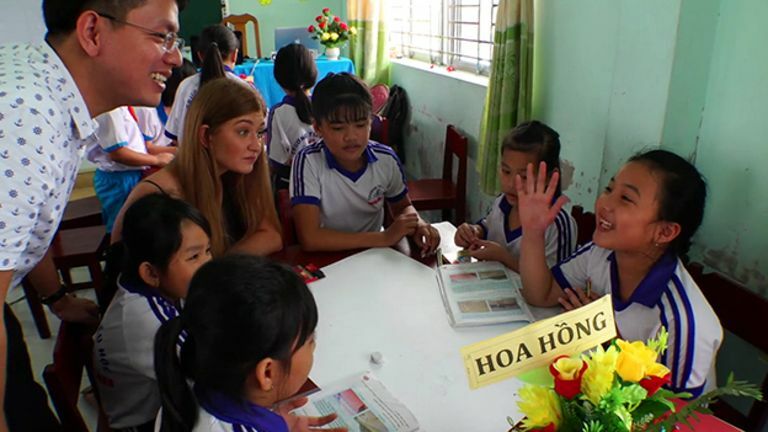 The children were asked to draw their pictures as part of a project run by Florence Halstead from the University of Hull, a researcher into young people’s attitudes on global warming. Loi, a 10-year-old, leapt to his feet and came out with a shocking image – “people on their houses screaming for help”. “Because the snake can live under the water and is very scary so it makes me think about the flood,” she said. 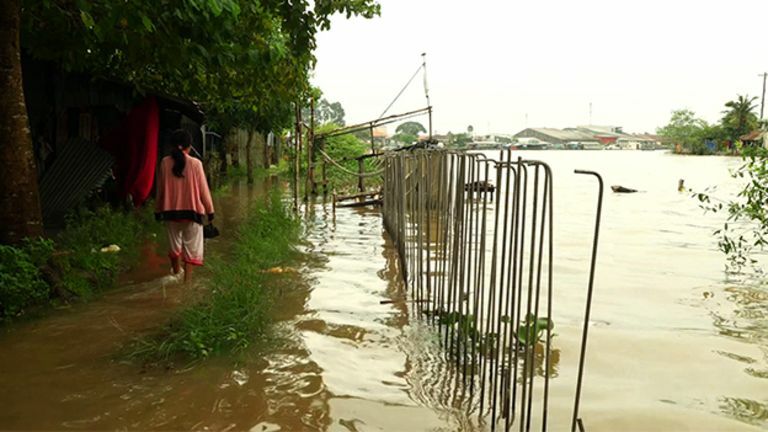 A farmer who saw fields vanish beneath the waves, Lam Van Nghia, said the water level was rising so fast that “there wasn’t enough time to build sea defences”. Thomas Rath, Vietnam director of the UN’s International Fund for Agricultural Development, told the BBC that “this is all under threat”. 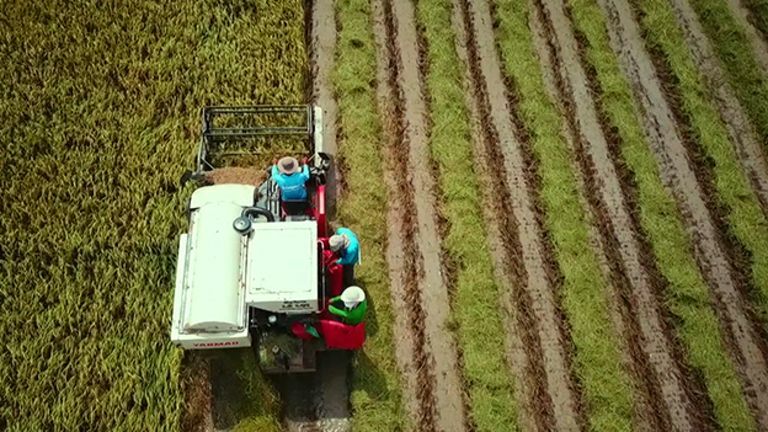 “Rice production is under threat and 80% of the rice is for exports, so it’s a big economic risk for Vietnam,” he told the BBC. This is why Vietnam, along with several dozen other developing countries, argues that the main target of the Paris Agreement on climate change – to limit the rise in global average temperature to 2C above the pre-industrial level – does not go far enough. 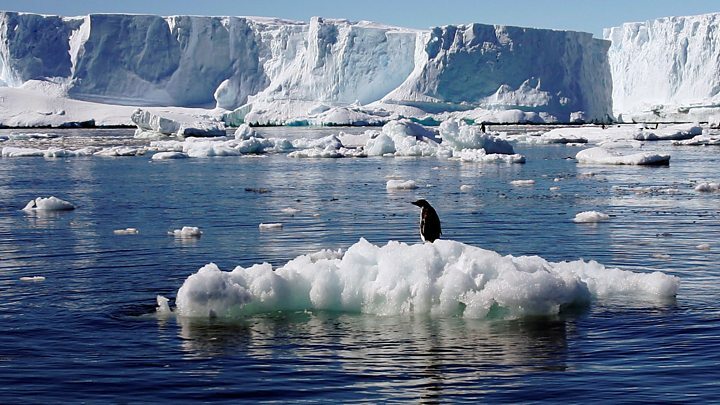 It is pressing for a lower target of 1.5C. 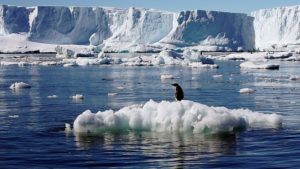 The Intergovernmental Panel on Climate Change, the UN’s climate body, is releasing a report on the benefits of keeping global warming in check and on what is needed to achieve it. Measurements over the past 20 years have shown a marked drop in the amount of sediment being delivered – the water looks clearer than in the past – and this is the result of dams upstream trapping everything in the flow. She described some of the children’s pictures as “harrowing” but said it was important to prepare them for what lies ahead.